Today let’s learn how to correctly remove Trend Micro Antivirus 2019 – a security product that provides different modes to protect your PC with different features. System security is always a primary problem to take care of, so you may have seen that more and more antivirus software products are coming in sight, the choices are much enough to get you lost. Picking the wrong one might bring a lot more troubles than you think. Well, let’s just cut to the chase and see how to remove Trend Micro Antivirus 2019 from your PC right here, right now. 2. 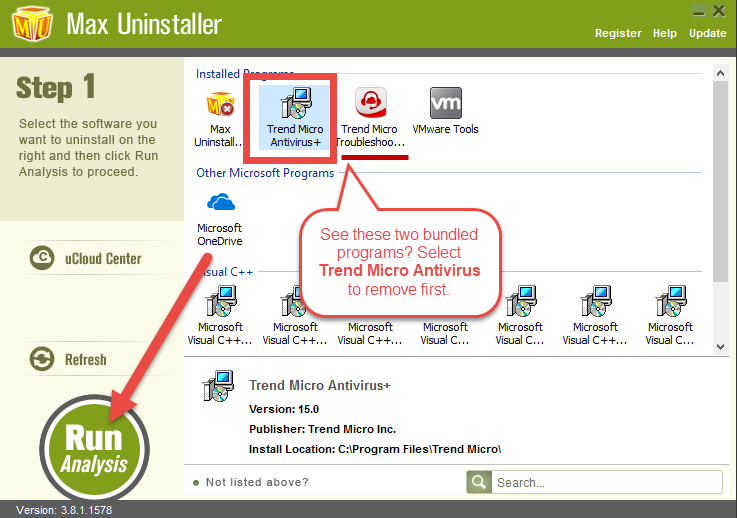 Right-click on the Trend Micro Antivirus icon on the System Tray, and select Exit to close the program. 3. Hit Ctrl + Alt + Del to run Task Manager, terminate Trend Micro Antivirus (if it exists) by selecting it in the Processes tab and tapping End Task. 4. In the bottom-left screen of your screen, right-click on the Windows logo and select Control Panel. 5. 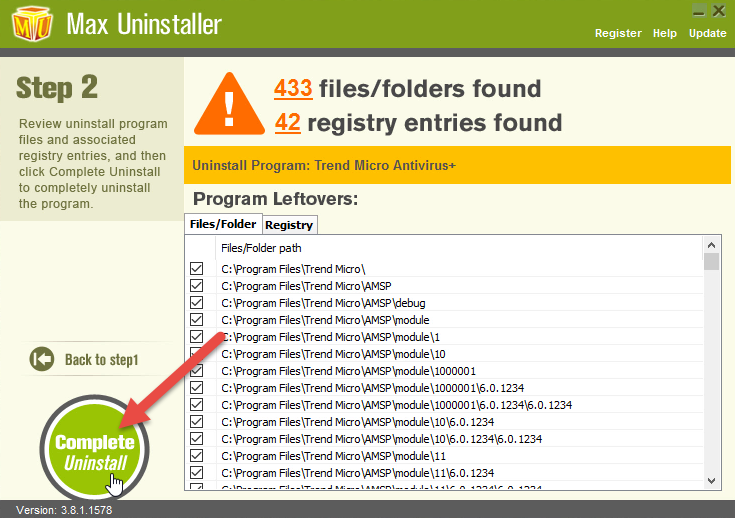 In the Control Panel window, click the Uninstall a program link. 6. 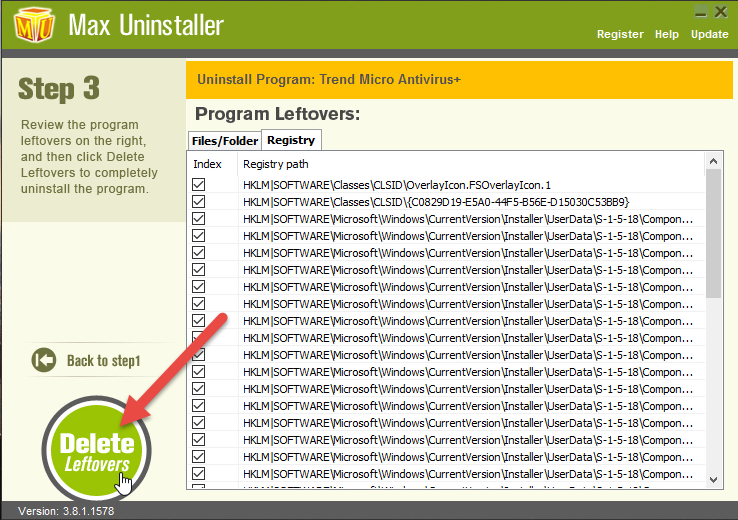 In the list of installed programs, find & double-click Trend Micro Antivirus to activate its default uninstall wizard. 7. Follow the prompts to proceed with the removal, provide confirmation when it’s needed. 8. On this dialog box, click Yes if you’re planning to reinstall this program, then wait for the uninstall wizard to finish its job. 9. Hover your mouse in the bottom-right corner, then you see the charms bar. Click Search, enter “regedit” to open the Registry Editor. 10. On the navigator of the Registry Editor, click File > Export to create a back-up (.reg file) of the whole Registry in case of any irretrievable mistake. 11. 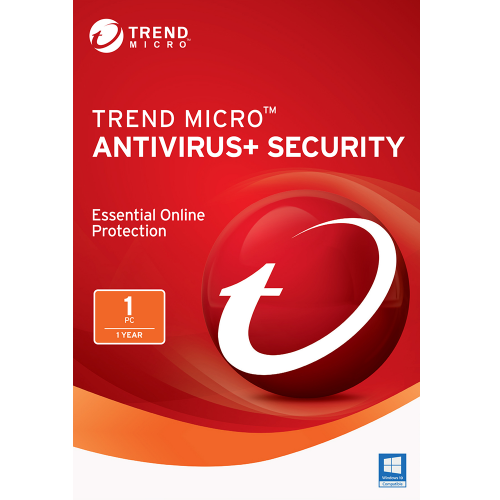 Then on the navigator click Edit > Find…, type “Trend Micro Antivirus” in the box to find the related entries/keys (if they exist), then delete them to completely remove Trend Micro Antivirus 2019. 12. Reboot your computer to take effect. I shall mention that during the installation of Trend Micro Antivirus, the Trend Micro Troubleshooting Tool program may also be installed as a bundled product. So if you don’t want that, remember to remove it later. 2. Remove Trend Micro Antivirus 2019. 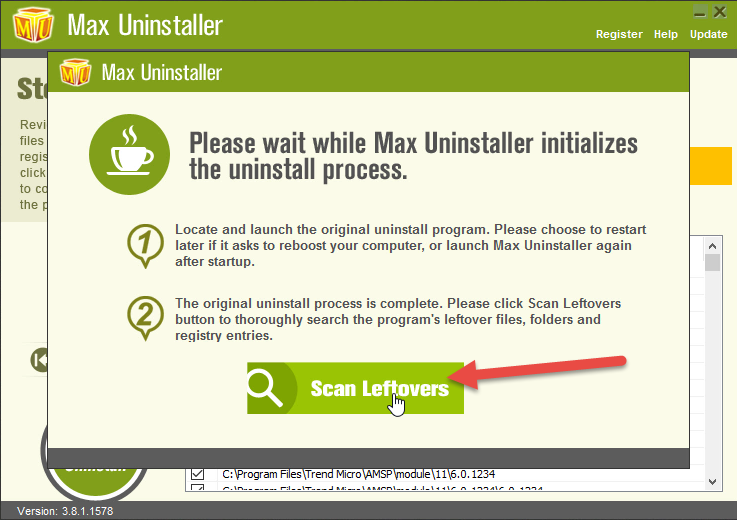 Open Max Uninstaller, and you will see clearly what programs you’re having on the computer. Find & select Trend Micro Antivirus as your target, then click Run Analysis to scan for all the related files. > review the list, keep the items checked, and click Complete Uninstall to confirm the removal. 3. Easily find and delete the vestiges of Trend Micro Antivirus. Now you’re deleting its vestiges. 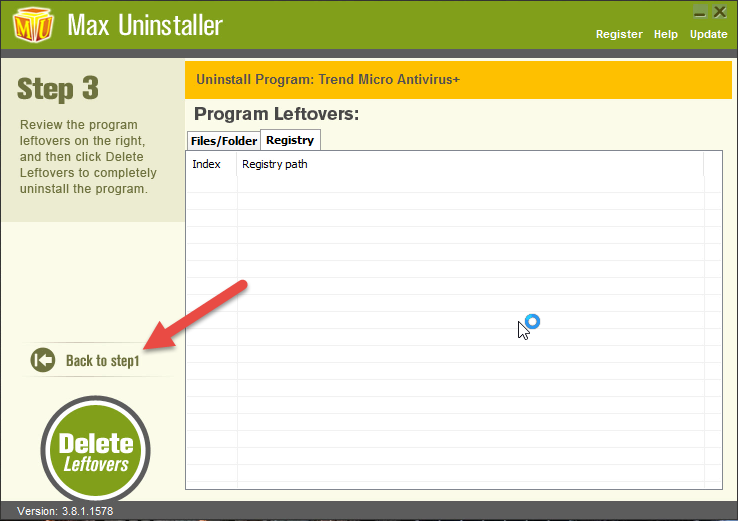 Click Scan Leftovers when it turns to green, review the list of the vestiges to be deleted, keep them checked, and click Delete Leftovers to completely remove Trend Micro Antivirus 2019 from your PC. As you can see, all the related pieces gone in the snap of a finger, in the length of a breath, in the blink of an eye. Clicking Back to Step 1 will refresh the programs list, so that you can check whether your target has been successfully removed. Before switching to another antivirus product, you must be sure the previous one you were running has been completely uninstalled from the system, or there would be troubles. They will fight against viruses together, so the user would receive repeated reports. So please DO NOT run multiple antivirus products on the same computer. The free version provides features including antivirus & antispyware, anti-ransomware, AVG Zen Dashboard, remove protection, link protection, and E-mail protection. Visit the link above to find out what else you can enjoy after upgrading it to the pro version. For removal instruction, read How to Remove AVG Antivirus Free 2019. Developed by AVAST Software, this product also offers both antivirus & anti-malware protection, along with other features like home network scanner, toolbar removal, password manager, etc. Visit the link above to know more. If you need to remove it, view How to Uninstall Avast Free Antivirus 2019.